Nurses with a masterai??i? ?s degree are now in high demand in the healthcare industry. While you can always choose a traditional, on-campus college to pursue an MSN, online programs can help make it easier if you donai??i? ?t want to quit your job or move out of town. All you need is a computer and an internet connection and you can complete an online MSN degree from the comfort of your own home and on a flexible schedule. 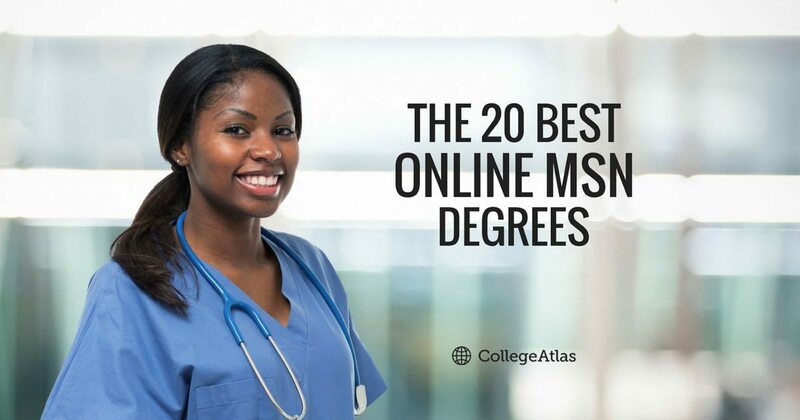 Before you enroll in a program, however, it is important to understand more about the best online MSN degrees so you can make an informed decision. What Is an Online MSN Degree? Online programs have several advantages that encourage students to enroll. First, they are typically less expensive than a traditional university. An online program may cost anywhere from $35,000 to $60,000, while an on-campus degree could cost up to $98,000. Online MSN degrees attract students because of their convenience. The coursework is all completed online, and few schools require much time on campus. Clinicals and Practicums can usually be completed at locations near your home. If you are employed as a nurse, you can keep your job while working on your degree. This can provide you with the funds needed to pay tuition for the program, while still advancing in your career. One way to measure the quality of a school or program is to see when they were last accredited. Accreditation is an indication of the schoolai??i? ?s legitimacy, which assures students that they can use and depend on their degree when they graduate. Attending a school with proper accreditation is also required for federal student aid. Schools are accredited by outside, non-governmental accreditation agencies with high standards. They visit campuses to evaluate factors such as classes, faculty, facilities, and student services to ensure that schools meet their criteria. In the case of an online school, evaluators may gain access to courses or communicate with students online. It is also a mark of quality when a school receives specific accreditation for their nursing programs. As you research the schools for your online MSN program, it is imperative to make sure that the schools you are looking into are properly accredited. Find the schoolai??i? ?s accreditation agency on the school websiteai??i? ?usually on the ai???Aboutai??? pageai??i? ?and then verify that it is not just an ai?? ?accreditation millai??? (an online agency that hands out accreditation based on low standards). Once you determine the accreditation agency, you should find out whether it is recognized by either the Council for Higher Education Accreditation or the U.S. Department of Education. You can view their lists of recognized accreditation agencies on their websites or in this document. Decide what you want out of your program: List the things that are most important to you for a school to provide an online MSN degree. Rank them in order of importance: Is specialization in your chosen field more important to you than convenience? Are you willing to pay more for a school with a higher graduation rate? There is a good chance that you will have to give up some aspects of your dream school. Decide early on which ones you are willing to part with. Research and compare schools: Find information about the schools you are interested in and the features you have selected. Compare ranking lists to discover the features each school offers and how they compare with other schools.